Suspect sought in debit card fraud investigation | Crime Stoppers of the Lowcountry: 554-1111 | 1-888-CRIME-SC | Anonymous tips earn cash rewards with Crime Stoppers of the Lowcountry. MT. 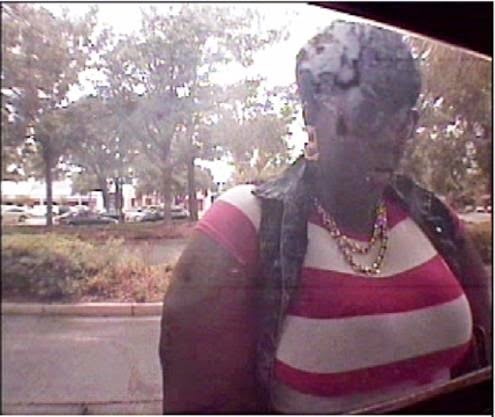 PLEASANT, SC (WCSC) - Mount Pleasant police have released a photo of a woman who is wanted in connection with a financial transaction card fraud investigation. Police say the suspect used the victim's lost debit card to withdraw $500 from an ATM on July 21 at 4:16 p.m. If you can identify the woman , you are asked to call the Criminal Investigations Bureau at the Mount Pleasant Police Department at 843-856-3033.